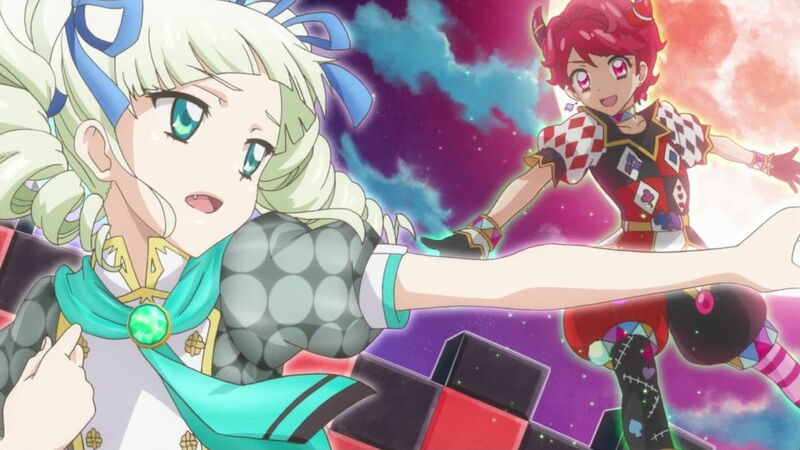 Aikatsu BD News | Mezashite! This entry was posted in Aika2!, Aikatsu!, Info by Yuyu. Bookmark the permalink. Yep, totally can’t wait for those quality performances. I’ll be buying and uploading the season 1 boxes for U2娘@Share probably within a week from when they are released (pre-orders are already placed). They’ll be on U2 and ADC at least and possibly also on nyaa at some point. U2 is fine, I have an account there. Thanks a bunch! One question – did they list in regards to what the S1 BDs will include (besides higher quality versions of the episodes)? As stated earlier, some of us are hoping that NC versions for both OPs/EDs for season 1 will be included (along with any music performance vids from the anime, without interruptions, if any). For anyone still reading this, I’ve decided to also buy/upload S2 BDs. The first 4 vols arrive early July, vol.5 early September and the rest will probably come in batches of 1/2 vols at a time, but I haven’t ordered them yet. Awesome news in terms of the BDs! My only request is to cover all the NC versions of the OPs/EDs (for both S1 and S2) and any separate music performance vids that are included in those BDs. We beg you! I know I’m not the only one pleading for NC versions of both OPs/EDs so far for both Aikatsu! seasons (along with performances without interruptions, if there are any on the BDs). Those are still awesome to check out even after viewing all the episodes themselves for the season. Will definitely include those, so far NC versions haven’t been on the S2 BDs though. Does that mean it may be getting a English DUB release? I’m not Yuyu, Akatsukin, or Etoce, but I can answer that; unfortunately, even though the BDs are in the works, the content itself is still obviously going to be Japan only. The only difference that would occur here for both S1 and S2 BDs of Aikatsu! are the picture quality. if Mezashite releases a 720p Batch im all for it. This is such great news. I am so happy. 285 bucks is waaaaay too expensive. It’s R$ 631 (R$ = Brazilian Real). That’s almost one minimum wage and I’m not putting the taxes (which push the price to R$900 easily). I barely have R$ 200 in my pocket. I think I’ll try to win the lottery so then I can buy. If you have the money for it and do like this show a lot I’d suggest you still buy it because it’s probably the most effective and (sort of) affordable way to support the industry. Who knows, maybe you can turn into one of those (awesome) people on the internet. They might not have subs, but they look great in a collection and it’ll actually support the industry effectively. It’s a giant money sink (I’m spending most of my money on imports), but to me it’s worth it. my parents barely let me buy merchandice that I will totally use so I’m not talking about albums or even BD discs that I can find online for free! Im just wondering when your releasing ep 82? I was expecting it yesterday. Director Kimura tweeted that there won’t be any redrawn scenes or reanimated CG scenes. All I care about is if the “music videos” for the BDs will have the stage performances as seen in the anime itself. Because comparing that to what I saw in terms of vids from the Aikatsu! games themselves – they are somewhat less stellar as compared to the anime adaption performances. Were we hoping that the CG would be updated to look like more recent episodes?